Between the 17-20 September 2018, ESF Secondary Music departments will be collaborating in a wide range of music workshops and rehearsals. This will culminate in three evenings of concerts to show case the work of our incredible musicians. 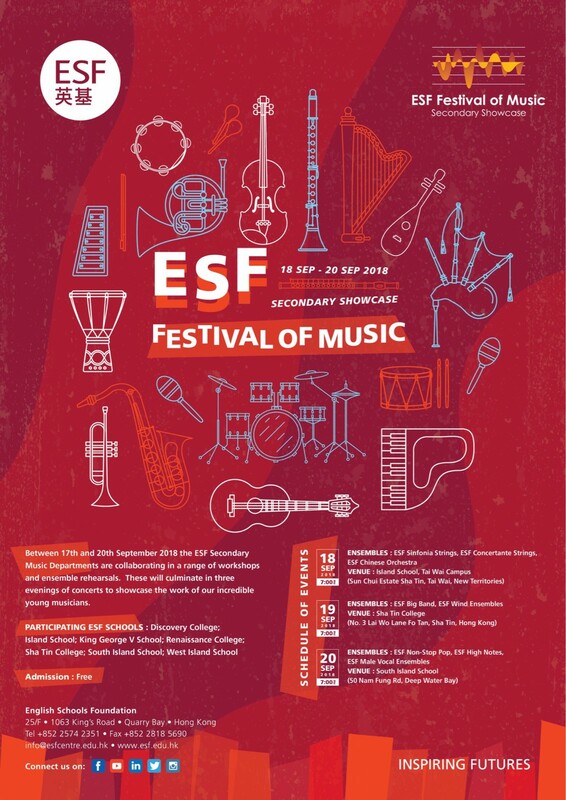 Ensembles will range from vocal ensembles, string orchestras wind ensembles, a big band and a Chinese orchestra. Attendance to the concerts are FREE. Please check the attached poster for details and we hope to see you come and support for young musicians and enjoy a wonderful evening of quality music.